Discussion in 'Siegle Knives' started by Bill Siegle, Dec 25, 2017. 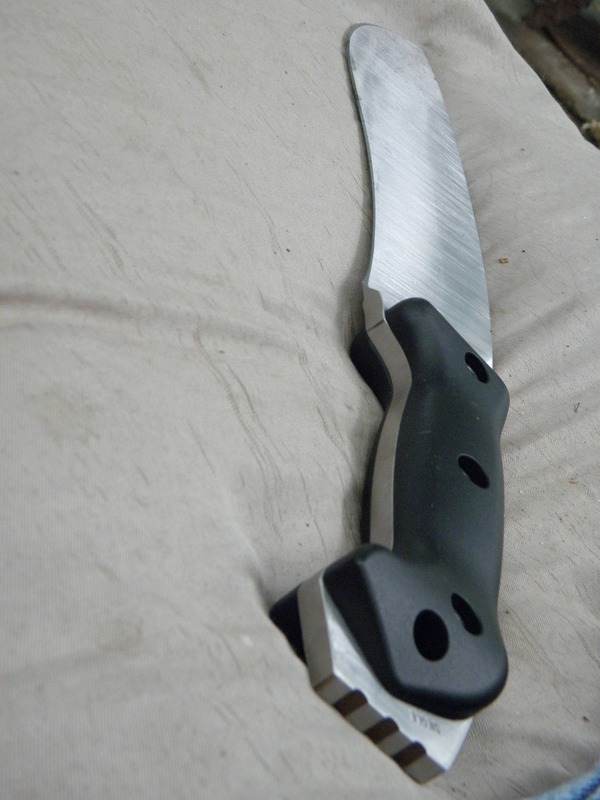 Another project completed today is this JEST Bolo in small size Usually my JEST blades run around 11in of blade. This one is almost a mini at only 7in of blade. Nice sized blade for the belt and around camp. It is 12 1/2in overall and made from 1/4in thick 5160 with Terro Tuff scales. It weighs in at 16oz. austexjg, nutoknives and 3fifty7 like this.